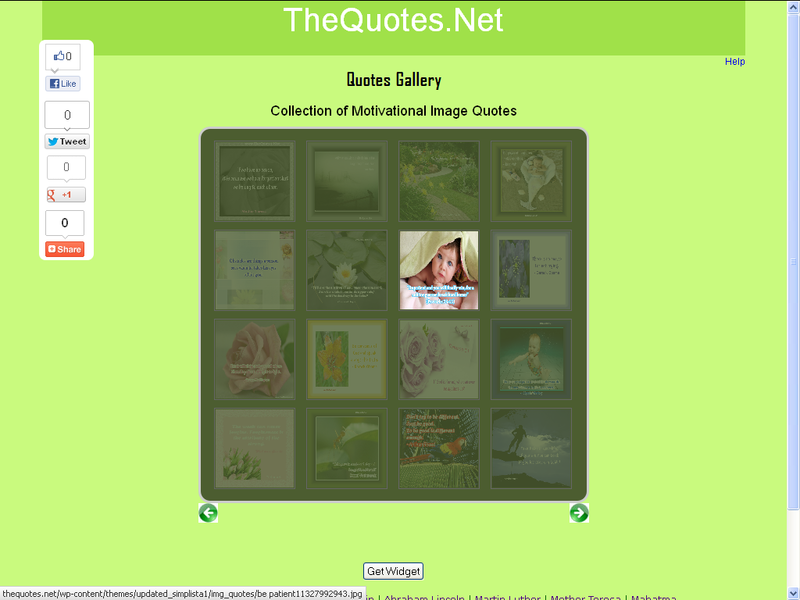 We have added "Quotes Gallery" to our Motivational Quotes Site "TheQuotes.Net"
Now TheQuotes.Net is added with a new feature called "Quotes Gallery". It contains lot of Motivational Quotes and it lets you to view the Motivational Posters as a slideshow and also it allows you to share your favorite images easily in the social media such as Twitter and Facebook. 1. Thumbnail View - Initially all the images are shown as a thumbnail images so that the users can view all the image and choose the image according to their wish. 4. Now click on any image to the start motivational Quotes slide show. For more details, Read the Quotes Gallery Help file or watch the below video . Now start using Quotes Gallery and write your comments. If you have embedded this Quotes Gallery in your blog or website, let me know the URL so that I can include in below list. List of websites/Blogs where this "Quotes Gallery" is embedded.